You can now follow us on Twitter and Facebook "top right"
Once again, the Club is proud to have been invited to supply the “drinks staff” serving on the day by filling all the glasses with Christmas cheer – plus the £100 donation toward the cost of the event. 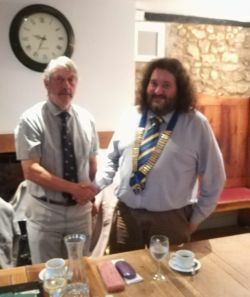 Tracey, from “Devon in Sight”, the Community Support Worker in East Devon, went to the Lions Club meeting, where the members donated £500. 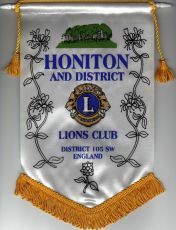 Tracey said she felt very fortunate to be presented with a cheque from the Honiton & District Lions Club this week. 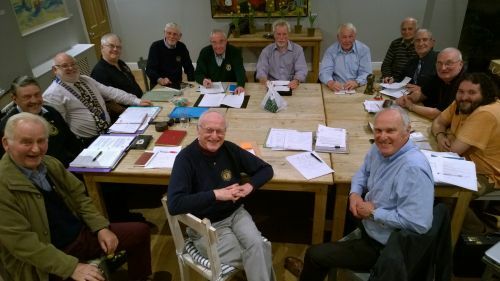 The Club members where very impressed with the talk given to the members. 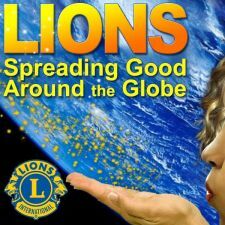 The same procedure as last year, we sold out again, seems like a big thank you due to all who purchased food from the Lions stand – you helped us raise over £1000 for the community. Another big thanks from the Club for all the support on the day with over £400 collected towards community projects. Given the “disappearance” of a collection box from Tesco towards the Christmas lights, the Club stepped in with a donation of £155. 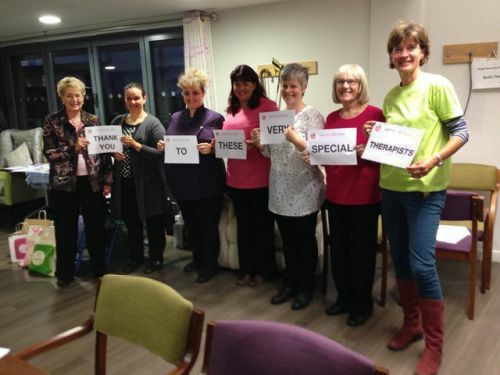 See our "Year In Close Up"
Retired or just moved into area - Want to make new friends? And help us with some of our other projects, fundraising or maybe join us for a social evening hopefully you will enjoy the activity! 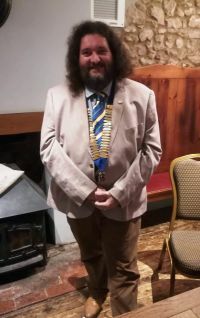 Evening meeting for the Honiton & District Lions Club members.